Writer, Director, and Actor. Nationality: American. 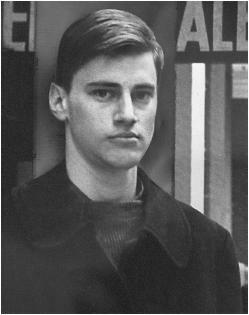 Born: Samuel Shepard Rogers VII, Fort Sheridan, Illinois, 5 November 1943. Education: Attended Duarte High School, California, graduated 1960; Mount San Antonio Junior College, Walnut, California, 1960–61. Family: Married the actress O-Lan Johnson, 1969 (divorced), son: Jesse Mojo; children with the actress-producer Jessica Lange, daughter: Hannah Jane, and son: Samuel Walker. Career: Hot walker on the Santa Anita racetrack; stable hand; sheepherder and shearer; orange picker; 1962—actor with Bishop's Company Repertory Company, Burbank, California; car wrecker, Massachusetts; 1963–64—bus boy; 1964—first play produced, Cowboys ; 1971–74—moved to England; 1974—returned to the U.S. Awards: Obie award, 1967, 1970, 1973, 1975, 1978 (two), 1980, 1984; Pulitzer Prize, 1979. Agents: Toby Cole, 234 West 44th Street, New York, NY 10036, U.S.A.
Five Plays (includes Chicago , Icarus's Mother , Fourteen Hundred Thousand , Red Cross , Melodrama Play ), Indianapolis, 1967. La Turista , Indianapolis, 1968. Operation Sidewinder , Indianapolis, 1970. The Unseen Hand and Other Plays (includes The Rock Garden , 4-H Club , Forensic and the Navigators , Cowboys #2 , The Holy Ghostly , Shaved Splits , Back Bog Beast Bait ), Indianapolis, 1971. Mad Dog Blues and Other Plays (includes Cowboy Mouth , Cowboys #2 ), New York, 1971. The Tooth of Crime and Geography of a Horse Dreamer , New York, 1974. Action, and The Unseen Hand , London, 1975. Angel City and Other Plays (includes The Rock Garden , Cowboys #2 , Cowboy Mouth , Mad Dog Blues , Action , Killer's Head , Curse of the Starving Class ), New York, 1976. Buried Child and Other Plays (includes Suicide in B Flat , Seduced ), New York, 1979. Four Two-Act Plays (includes La Turista , The Tooth of Crime , Geography of a Horse Dreamer , Operation Sidewinder ), New York, 1980. Buried Child, and Seduced, and Suicide in B Flat , London, 1980. True West , London, 1981. Seven Plays (includes Buried Child , Curse of the Starving Class , The Tooth of Crime , La Turista , True West , Tongues , Savage/Love ), New York, 1981. Chicago and Other Plays , 1982. Fool for Love, and The Sad Lament of Pecos Bill on the Eve of Killing His Wife , San Francisco, 1983. Fool for Love and Other Plays (includes Angel City , Cowboy Mouth , Suicide in B Flat , Seduced , Geography of a Horse Dreamer , Melodrama Play ), New York, 1984. A Lie of the Mind , New York, 1987. States of Shock, Far North, Silent Tongue , New York, 1993. Simpatico: A Play in Three Acts , New York, 1996. The Unseen Hand and the Other Plays , New York, 1996. Buried Child , New York, 1996. Eyes for Consuela , New York, 1998. Hawk Moon: A Book of Short Stories, Poems, and Monologues , Los Angeles, 1973. Rolling Thunder Logbook , New York, 1977. Motel Chronicles , San Francisco, 1982; as Motel Chronicles and Hawk Moon , London, 1985. With Wim Wenders, Paris, Texas (screenplay), edited by Chris Sievernich, New York, 1984. Cruising Paradise: Tales , New York, 1996. Inter/View (New York), vol. 1, no. 3, 1969. American Film (Washington, D.C.), vol. 10, no. 1, October 1984. Interview (New York), vol. 18, no. 9, September 1988. Marranca, Bonnie, editor, American Dreams: The Imagination of Sam Shepard , New York, 1981. Patraka, Vivian M., and Mark Siegel, Shepard , Boise, Idaho, 1985. Shewey, Don, Sam Shepard , New York, 1985. Oumano, Ellen, Sam Shepard: The Life and Work of an American Dreamer , New York, 1986. Webster, Duncan, Looka Yonda! : The Imaginary America of Popular Culture , London, 1988. Chaiken, Joseph, Joseph Chaiken & Sam Shepard: Letters and Texts , New York, 1989. DeRose, David J., Sam Shepard , New York, 1992. Benet, Carol, Sam Shepard on the German Stage: Critics, Politics, Myths , New York, 1993. Hall, Ann C., A Kind of Alaska: Women in the Plays of O'Neill, Pinter and Shepard , Carbondale, Illinois, 1993. McGhee, Jim, True Lies: The Architecture of the Fantastic in the Plays of Sam Shepard , New York, 1993. Wilcox, Leonard, editor, Rereading Shepard: Contemporary Critical Essays on the Plays of Sam Shepard , New York, 1993. Graham, Laura, Sam Shepard: Theme, Image, and the Director , New York, 1995. McDonough, Carla J., Staging Masculinity: Male Identity in Contemporary American Drama , Jefferson, 1996. Wade, Leslie A., Sam Shepard & the American Theatre , Westport, 1997. Bottoms, Stephen J., The Theatre of Sam Shepard: States of Crisis , New York, 1998. Callens, Johan, Sam Shepard: Between the Margin & the Center 1 & 2 , Newark, 1998. Film Comment (New York), vol. 19, no. 6, November/December 1983. Lahr, John, in Automatic Vaudeville , New York, 1984. Positif (Paris), no. 303, May 1986. Image et son (Paris), no. 449, May 1989. Literature/Film Quarterly , vol. 20, no. 2, 1992. Special Sam Shepard and Contemporary American Drama issue, Modern Drama , vol. 36, no. 1, March 1993. Modern Drama , vol. 37, no. 3, Fall 1994. Modern Drama , vol. 37, no. 4, Winter 1994. Sam Shepard has worked as a playwright, musician, director, actor, and screenwriter. As the last, Shepard gained early recognition as a co-scripter of Antonioni's Zabriskie Point . Earlier he wrote the little-seen Me and My Brother , a harsh semidocumentary treatment of mental illness and the homeless. In the 1970s he contributed to a trio of films with similarly troubled distribution histories: Ringaleevio , Oh! Calcutta! , and Bob Dylan's Renaldo and Clara . After this line of quirky and mainly obscure films, Shepard vaulted into prominence as a film writer in the mid-1980s with the release of Paris, Texas , a film which has the resonance of his best stage plays and which takes up some of their concerns. Avoiding the facile regeneration-of-the-nuclear-family plots that have traditionally meant good box office, Shepard has closely examined some of the same questions, rejecting the reassurances about the family for which mainstream Hollywood is well known (his film actor-only roles, by contrast, often fit more comfortably into the Hollywood mold, as in The Right Stuff and Baby Boom ). Paris, Texas revolves around a father and son attempting reconciliation, often a primary thematic concern of Shepard's plays. The story also offers some symptomatic dualities: both sprawling and tightly organized, both dreamy and wonderfully concrete. As such it seems a worthy companion piece to Shepard's mature stage work, which also seeks to push the conventions of contemporary drama to their limits. The film is formally organized by the wanderings of Travis (Harry Dean Stanton), which describe a rambling circuit of the American Southwest—Shepard territory for sure. Motifs of fire and water figure importantly and help pull together the enigmatic narrative. Travis is obsessed with water in the early parts of the film: carrying a water jug, eating ice, leaving a shower running, playing with a faucet. At first this obsession seems related to his physical burning in the desert, perhaps a symptom of madness; later it is revealed that he has an emotional fire he cannot quite put out. In a more isolated instance, there is a doom-shouter whom Travis encounters on an overpass. At first the prophet's words are dissociated, free-floating, apparently nondiegetic. When Travis passes by the shouter, the abstract becomes concrete again, and the scene has a wonderful formal power. While some of the credit for this work must also go to L. M. Kit Carson, who wrote the adaptation from Shepard's story, Shepard's later film work shows increasing control on his part. Fool for Love is his first and, so far, only film adaptation of one of his own plays. Director Robert Altman and Shepard open up the story visually and make some interesting choices, particularly in the intermingling of past and present, of thought and action. Again, figures of forbidden love and problematic fatherhood appear prominently. Eddie (Sam Shepard) and May (Kim Basinger) share a passion that they cannot quite consummate and cannot quite contain. Here, fire imagery builds and becomes literal at the climax. The Old Man (Harry Dean Stanton), an incredibly divisive father figure, is at the root of all this trouble. Rootlessness, on the other hand, is also a main concern. For instance, Eddie's journey to May, stated as one of thousands of miles contained in a relatively smaller geographic area, suggests a circuitous route, and the description of it melds with the serpentine workings of the plot. Also, Eddie and the Old Man take an apparently aimless walk, similar to wanderings in both Paris, Texas and Far North . Shepard wrote the original screenplay for Far North , which was also his directorial debut. Shepard took advantage of this amount of control to film his most satisfying, and most completely personal, screenplay yet. The film examines "a notable lack of menfolk" regarding one family in particular and contemporary society in general, in a shading on the concerns central to both Paris, Texas and Fool for Love . Shepard's wordplay with Midwestern vernacular in Far North helps make the "personal idea of justice" speech by Bertrum (Charles Durning) and the "teaching/learning" monologue by Kate (Jessica Lange) rate with his best. Together, these speeches highlight the basically incompatible spheres of influence the sexes occupy in Shepard's world view: while men are out doing destructive things, women take the time for family, for nurturing. Men act this way out of personal concern. Women think more of group welfare. Attempts made by one group to teach the other will be ignored, or at least not learned. An organizing device in Far North has men and women doing similar things, first drinking and later taking a journey through the woods, to dissimilar effect in each case: violent men drift apart, and nurturing women come together. Throughout his work this pattern remains consistent. In just these three films Shepard's voice has been powerful enough to create an important countercurrent to the Hollywood mainstream. Although Shepard has frequently directed and written for the screen, since the 1980s he has worked most often as a actor. With a cleft chin and lanky physique contributing to his rugged good looks, Shepard has habitually played leading men in films and received an Academy Award nomination in 1983 for his portrayal of astronaut Chuck Yeager in The Right Stuff .